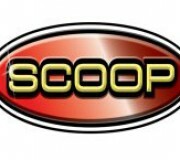 SCOOP are a fun, entertaining and versatile duo or three-piece cover band with two or three piece harmonies. Unlike many other bands who limit themselves to one style of music or function, SCOOP has something for everyone. Whether it be Dance, Classic Rock, Reggae, Pop, Blues or Retro, SCOOP will cater to your needs. SCOOP are experienced and seasoned professional musicians. They are also friendly and reliable. With a repertoire of over 100 songs, SCOOP are perfect for: Corporate Functions, Pub Gigs, Birthday Parties, Weddings, Restaurants, Clubs and Festive Events. The Duo has the option of offering mini disk backing tracks for that ‘full live band sound’. You may want to start the night with a laid back selection of songs for dinner or chatting, then build up to an energetic, vibrant performance later on in the evening with songs everybody can dance to. SCOOP Trio Acoustic or Electric Guitar, Bass Guitar, Drums. The trio are great for that ‘bigger live band sound’. No gimmicks, just honest & soulful performance. Let the music speak for itself.